Alongside Huawei P30 Pro, the company has also launched today Huawei P30 Lite smartphone in India. This phone comes in two variants – 6GB RAM+128 GB ROM for Rs. 22,990 and 4GB RAM+128 GB ROM for Rs. 19,990. It will be available in two colors of Midnight black and Peacock blue. It will be available on Amazon.in starting 25th April at 12 AM for Prime members and 26th April at 12 AM for regular customers. It will also be available in 120 Croma stores across India starting early next month. 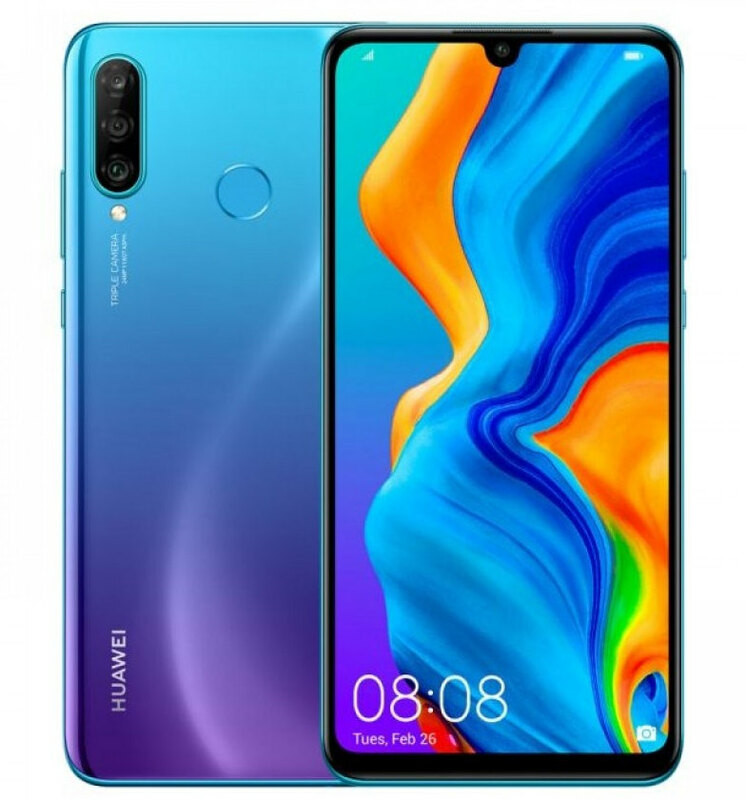 The Huawei P30 Lite has 6.15 inch (2312 x 1080 pixels) FHD+ dewdrop notch display with an aspect ratio of 19:5:9. It is powered by Octa-Core Kirin 710 processor with ARM Mali-G51 MP4 GPU. It comes with 4GB/B RAM and 128GB storage extendable up to 512GB with microSD. This phone is packed with 3340mAh battery with fast charging. On the optics front, this phone is equipped with 24MP rear camera with LED flash, f/1.8 aperture, 2MP secondary rear camera and third 8MP camera with 120 degree lens. It also has 32MP front shooter with f/2.0 aperture. For security, this phone has fingerprint sensor on the back and face unlock feature. This phone runs on Android 9.0 Pie with EMUI 9.0 on top. It offers connectivity options of Dual 4G VoLTE, Wi-Fi 802.11 ac (2.4GHz and 5GHz), Bluetooth 4.2 LE, GPS, USB Type-C.